Oestrich-Winkel, Germany, April 16th, 2018—CPN Satellite Services GmbH, a pioneer of innovative solutions for mobile satellite communications today announced the release of the world’s most advanced LTE-BGAN M2M Dual Mode Terminal. Combining CPN’s high quality integrated cellular LTE gateway with the industry-leading Hughes 9502 satellite BGAN M2M modem, the all IP solution is packaged in a ruggedized enclosure with battery back-up, ideal for IoT M2M fixed site locations. The new generation terminal significantly increases reliability for sites transmitting high-value data, whether in urban or rural environments, providing resilient L-band BGAN connectivity for periods when the primary LTE connection is congested or unavailable. Furthermore, it features intelligent IP routing during the failover process, and separate modem power supplies for high reliability. said Tom Nicolai, general manager of CPN Satellite Services GmbH. Developed to withstand harsh weather conditions, the LTE-BGAN M2M Dual Mode Terminal is ideal for unattended sites equipped for supervisory control and data acquisition (SCADA) or M2M applications, such as midstream pipeline operations and a range of environmental applications including wind farms, forestry monitoring and surveillance. said Graham Avis, vice president and general manager at Hughes San Diego. The LTE-BGAN M2M Dual Mode Terminal with Battery Back-up is available now through CPN Satellite Services. 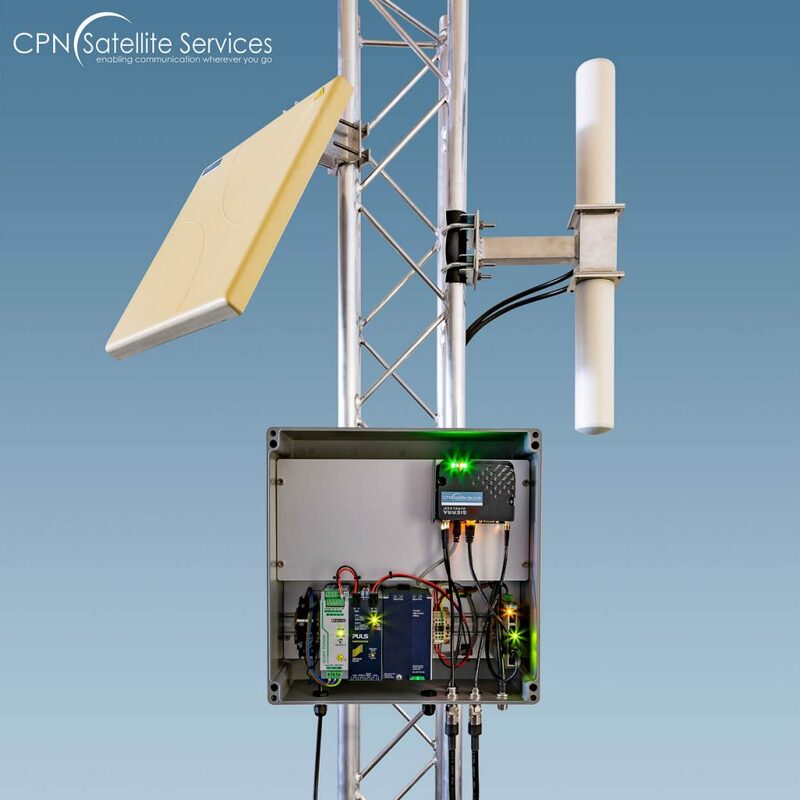 CPN Satellite Services GmbH is specialized in innovative solutions for mobile satellite communication for 29 years. We stand out due to our comprehensive and service-oriented offer of services. Our clientele are well known national and international companies, first aid organizations and media companies. We are one of the pioneers in the market and offer innovative solutions for mobile satellite communication since 1989. Our company philosophy is focused on the individual demands of our customers. We offer consultation, realization of projects and trainings as well as After Sales Support. CPN has proven its joy for innovation with the CPN Enclosure, as an example for their in-house developments. For additional information about CPN Satellite Services, please visit www.cpn.de.